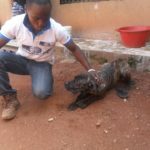 While campaigning against the dog meat trade and consumption, OIPA Cameroon is still fighting on the streets of the province of Bamenda for animal protection. 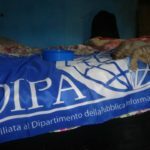 Volunteers often provide first aid for dogs, cats, rabbits and other animals founded on the street, sick, starved and injured, often on the brink of death. 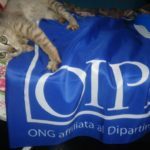 OIPA animal activists are doing their best facing so many emergencies with so low resources and money. 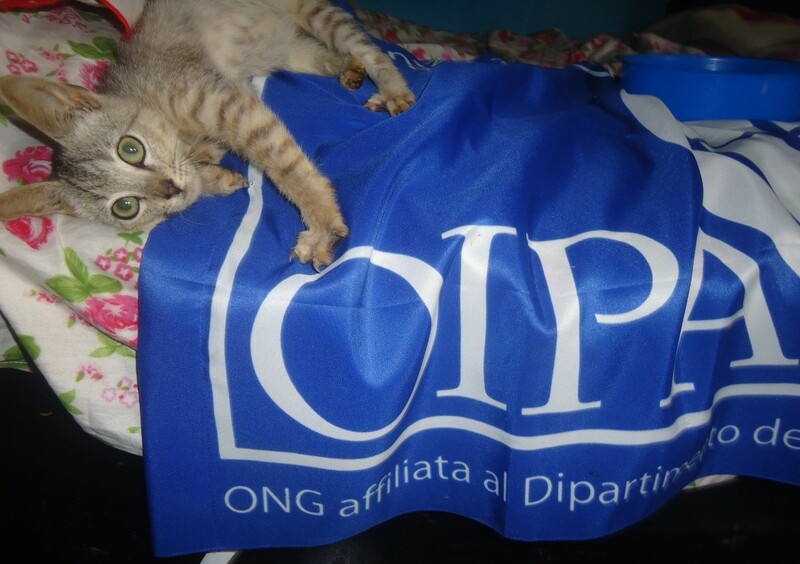 Last week, volunteers of OIPA Cameroon founded 4-month-old kittens on the street. 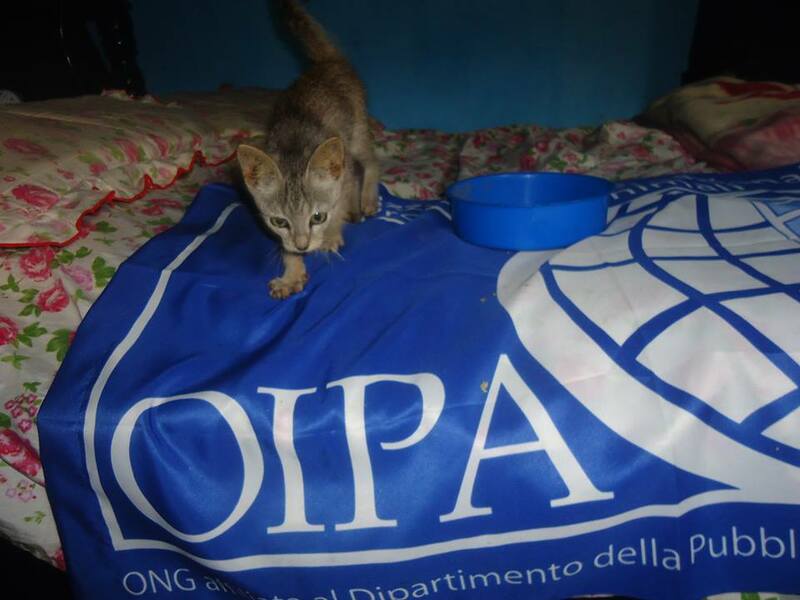 The two kittens were afraid and disoriented, without their mother, so a volunteer took them at home. 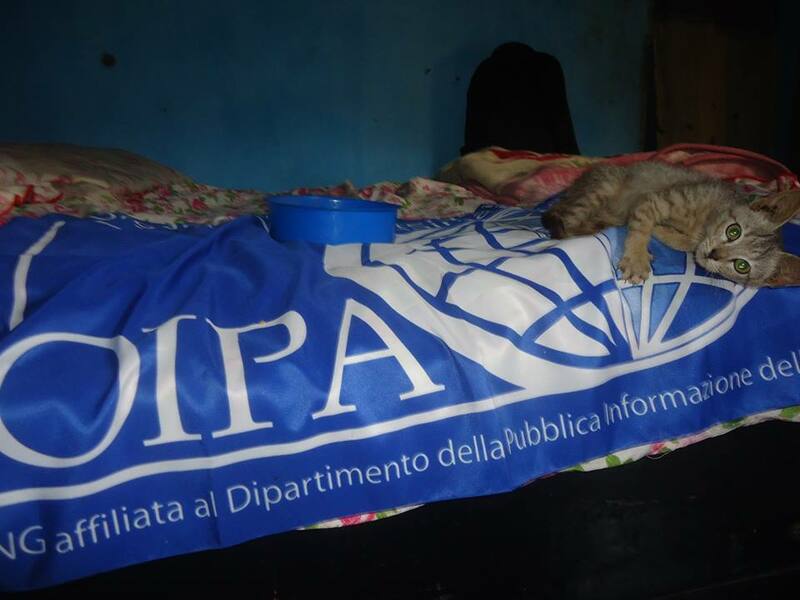 Unfortunately, cats are sick: they have tuberculosis and distemper but they are following medical treatments. The female is responding well to treatments, she plays and eats but the male is very weak and he can barely walk. 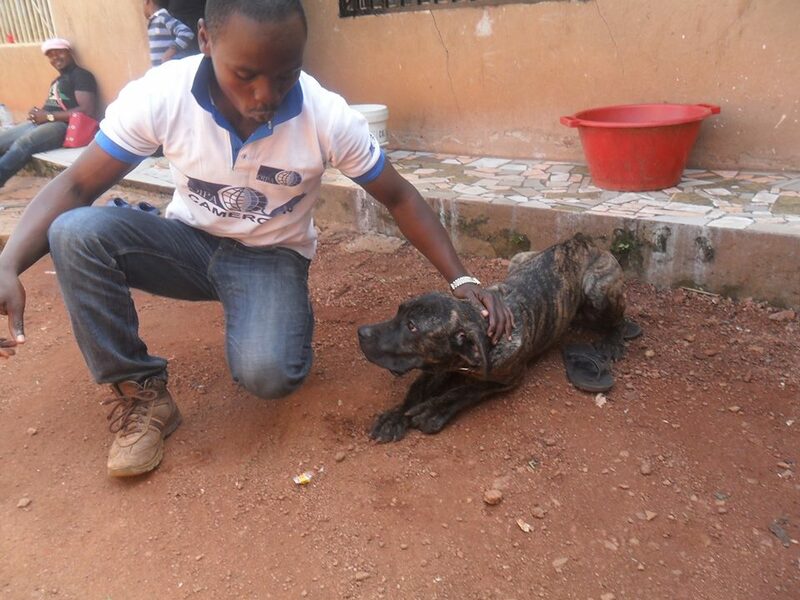 OIPA volunteers in Cameroon are doing the best to save their lives; their desire is to see them grow together. 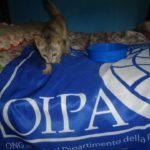 Kittens need appropriate food and medicines, so OIPA Cameroon is asking for support and donation! Please help, make a donation!